What Are Image File Formats and Why Do We Care? When you take an image with your digital camera, a representation of it is recorded onto the camera's memory device.The scene is essentially made of a grid of pixels. The count of pixels used will depend on your choice of image resolution setting. The other decision you need to make is with regard to the image file format. That is, you need to tell the camera in what common file format to save the data so that the information will be understandable to software and other devices. There are many image file formats used by digital cameras and graphics software. You might ask why are there so many file formats ? Well, different file formats exist because some are better at certain tasks than others. Some file formats are good at compressing the image so that it takes a small amount of space on the memory card. Other file formats more accurately represent the original image, or are optimised for the Web. 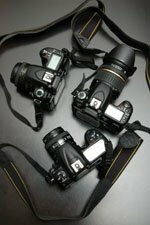 Each image file format has its advantages and disadvantages and knowing these will enable you to get the best results you are after with your digital camera. 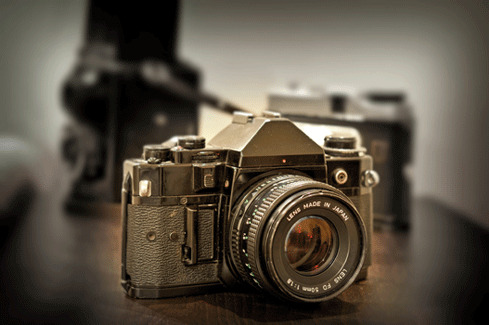 A camera's RAW file is an uninterpreted, bit-for-bit digital image written to the memory device as it was captured on the image sensor without any additional processing. RAW refers to the state of the image file before it has been converted to a common format, such as JPEG or TIFF. The raw image file, therefore is not compressed, as JPEG files are, which means that no image data is lost. accurate and basic data about an image. The drawback of no compression, of course is that RAW files are much larger in size. Each RAW file contains data about how the image was shot such as the image pixel count, time stamp, exposure settings, and the camera and lens settings. This information is also know as metadata. Another advantage of the raw files is that you can use an image-editing software to adjust the original image parameters, such as white balance, noise reduction, contrast, sharpening, saturation etc. Because most image applications previously could not process RAW files, they had to be converted before they could be used in image-editing software. Important characteristic of the raw images is that they store 16 bits per channel, with 12 to 14 bits per channel of colour information. What this means is that you can do significantly more colour correction without degrading the image or introducing colour noise. JPEG is short for Joint Photographic Experts Group and is quite a popular image file format that lets you create highly compressed image files. To make the image file smaller, a mathematical algorithm is applied that simplifies the image, thereby making it smaller. That means when you save an image in this format, during the compression process some of the data is lost resulting in a decreased image-quality. Because of this feature, JPEG is not the preferred format when editing images as each time you edit and resave the file, it degrades a bit. It is important to note, however that the JPEG format does an outstanding job at preserving all the visual information that the human eye generally see in an image. For most people, this is good enough most of the time. Generally you would need to zoom in quite a bit to begin to see a digital noise caused by the format. And this is a small sacrifice for the tremendous space each JPEG file typically saves compared to an uncompressed file. Select JPEG format unless you are looking to get the best possible image-quality and you are planning to use image editor. The choice between JPEG and an uncompressed format like RAW or TIF is between a relatively small file and a much larger file. TIFF is short for Tagged Image File format, and is a very common uncompressed file format found on digital cameras. It is capable of storing 8 or 16 bits per colour channel which is a greater bit depth than JPEG file allowing them to contain more colour information. Similarly to the JPEG files, TIFF files are converted from RAW files. If your camera does not have an option to shoot TIFF files, you can shoot RAW and then convert them to TIFF files using software. TIFF files can be saved in two different ways. Using compression, they maintain an extremely high degree of image data while slight reducing file size. Without compression, they are lossless - no information is lost about every pixel in the original image. The end result is greater image quality. Work in TIFF if you are shooting a special photograph that you plan to crop, enlarge, edit and print. GIF is short for Graphics Interchange Format and is most commonly used on the Web, along with the JPEG format. GIF has a few advantages over JPEG on the Web. You can make the background of GIF images transparent which is especially handy if you want the area surrounding an irregularly shaped image to be the same as the background of the Web page. Another advantage of the GIF files is that they can be displayed in interface mode. Meaning they can be displayed in chunks so that you can get an overall impression of the image even before it has been fully downloaded. That is a very valuable feature on the Internet. GIF files can be very handy for Web Publishing as they can have transparent backgrounds, so text can be made to flow professionally around an irregularly shaped image. Most digital cameras save their images in JPEG format. JEPG file format is a very good compromise between quality and file size for most photographers and in most situations. What you have control of when you are recording an image in the JPEG format, is over the degree of the lossy compression applied to the file. This compression processes reduces the file size of a digital image by eliminating some image data. On your camera, the compression option is labelled as Image Quality and there are several quality settings, such as High, Fine, Normal, and Basic. The Basic-quality setting results in the smallest size file but usually tends to make for some pretty unsatisfactory images. The type and amount of compression that these settings apply vary from camera to camera, so make sure you look in your camera's manual for details. Note that this is quite different from Image resolution . When you transfer your images from your camera to the PC, you will have them in exactly the same format that the camera used to take them. That does not mean that you cannot save them in any other image file format. If you save a JPEF image in TIFF format, you essentially freeze the image at its current level of detail and image quality. That way, you can edit and save it again later, without degrading its quality like you would resaving it in JPEG format. But also note that by just saving an image in TIFF format, you cannot restore image quality that was not there for begin with. 5" x 7", TIFF or JPEG file format is fine. But stick with TIFF if you are editing and saving the file first. If you are publishing pictures on the Web, JPEG or GIF are the best choices. But remember that GIF can have transparent backgrounds, while JPEG cannot.